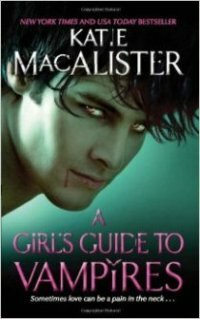 I should preface this review by saying that I have been a fan of Katie MacAlister (and her alter-ego for YA/Teen Reads) Katie Maxwell for a long while now: my daughter and I would pass her books back and forth repeatedly and read them regularly. So it was particularly wonderful to have won this AudioBook copy. Significant parts of the story are told in the heroine, Joy’s, voice: smart, self-deprecating, funny and charmingly inept in relationships Joy and her best friend Roxy are off to the Frankfurt Book Fair, with a side trip to the Czech Republic to bask in and hunt down their favorite author, the reclusive CJ Dante, author of the Dark Ones series: full of alpha male vampires and the heroines who love them. From one moment to the next, this story is full of gentle teasing and outright laughs: Joy is marvellously snarky and Roxy is a bit of a Chihuahua: tiny, mouthy and full of energy. Roxy also completely and utterly believes in the existence of vampires, and feels, from her obsession with Dante’s books, to know all about them. Her list of “how to tell if someone is a vampire” is quite amusing, and completely understandable as a reader who wants to be transported by every story. Several interesting characters come under the scrutiny of Joy and Roxy: while Joy’s belief and patience for the poseur vampire Dominic is waning, her own beliefs are being tested as she is having visions and feeling ‘invaded’ by a distinctly vampiric male. There is also a traveling Goth Faire in town: and here Joy meets the man of her dreams in the form of Raphael: tall, dark, handsome and protective: he is the head of the security detail for the tour. So we have Roxy determined to find a vampire and meet the author, Joy curious about and enamored with Raphael, a ringmaster/magician with fake fangs and a slimy bent insisting on calling joy ‘mon ange’ as well as several different nationalities and skills from the workers of the faire, the story is loaded with plenty of side stories and moments of interest. When a particularly distasteful and nasty ‘witch’ from the fair is found dead, exsanguinated and with her throat torn apart the search for the killer is all encompassing. Narration is provided by Karen White who manages to slip in and out of voices and accents with near seamless precision: adding in a tone and breathing that emphasizes moments of exasperation, insecurity, tension, anger and even sexual frustration and satisfaction. The French accents are spot on, with a solidly Slavic intonation in the voices of Christophe and the police captain, and the smooth yet often frustrated and flummoxed British accent affixed to Raphael managed to convey him with panache. Never overreaching for male or female voices, all of the characters were clearly delineated and crisply delivered and added to the character visualizations. Yes, there is a romance, but it is done in a uniquely ‘MacAlister” way: euphemisms are heavily used to allude to actions and parts, to great effect, as the humor with which Joy (and the author) see the world and their place in it is quite apparent. There isn’t a great load of drama or tension or even a load of angsty heroes and heroines in this series: it’s fun: it pokes fun at the genre, the readers and the characters as it presents a new series with a wonderful story and plenty of characters to learn more about. MacAlister’s books are light and fun reads: perfect diversions after a long day or to while away a weekend. I received this AudioBook copy as a blog tour win. I was not compensated for this review: all conclusions are my own responsibility. All Joy Randall wants is a little old-fashioned romance, but when she participates in a "Goddess evoking" ceremony with her friend, Roxy, Joy finds out her future true love is a man with the potential to put her immortal soul in danger. At first the ever-practical Joy is ready to dismiss her vision as a product of too much gin and too many vampire romances, but while traveling through the Czech Republic with Roxy, Joy begins to have some second thoughts about her mystery lover because she is suddenly plagued by visions of a lethally handsome stranger. Then, when she and Roxy attend a local GothFaire, Joy meets Raphael Griffin St. John, head of security, and she becomes even more bewildered because the dark and dangerous Raphael seems too close to her dreams for comfort. For as long as she can remember, Katie MacAlister has loved reading. Growing up in a family where a weekly visit to the library was a given, Katie spent much of her time with her nose buried in a book. Despite her love for novels, she didn't think of writing them until she was contracted to write a non-fiction book about software. Since her editor refused to allow her to include either witty dialogue or love scenes in the software book, Katie swiftly resolved to switch to fiction, where she could indulge in world building, tormenting characters, and falling madly in love with all her heroes. Two years after she started writing novels, Katie sold her first romance, Noble Intentions. More than thirty books followed during the years after Noble's publication. Her novels have been translated into numerous languages, been recorded as audiobooks, received several awards, and placed on the New York Times, USA Today, and Publishers Weekly bestseller lists. She also writes for the young adult audience as Katie Maxwell, and for the mystery world as Kate Marsh. Katie lives in the Pacific Northwest with two dogs and a cat, and can often be found lurking around online.